Passionate by patisserie since her childhood, the Chef Pâtissier Maria Thereza Alkmin has dreamed of creating her own company and today she is responsible for Leclanté Pâtisserie, specialized in events, especially weddings. Graduated in Nutrition, Maria Thereza still wanted to specialize in Pâtisserie and chose to study at Le Cordon Bleu in Paris, where she obtained the Diplôme de Pâtisserie in 2014. 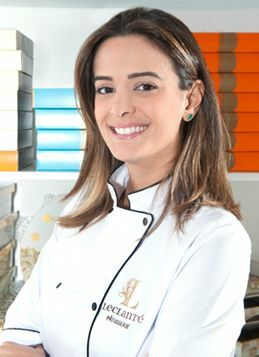 In this interview, the chef Pâtissier tells us her trajectory that will inspire the students of Le Cordon Bleu Brazil. The chef moved to Miami three months ago, where she opened a branch of Leclanté Pâtisserie. What made you want to study pâtisserie? Maria Thereza: My history of gastronomy began when I did my first cooking course when I was 10 years old. Since then, I grew up creating recipes, trying to repeat recipes at home... and for the most part, it was pâtisserie! I was inspired by a family tradition. My great-grandmother was a professional in the pâtisserie and my two aunts worked with it confectionery. As a teenager, still at school, I began to receive orders from close friends that had tasted my recipes. When I was 18 years old, following my childhood passion for gastronomy, I entered my first vocational course at a gastronomy college in the South of Brazil. At that time there was not a gastronomy university course in my hometown and many people did not know what the course was about. What is your favorite memory from your adventure at Le Cordon Bleu in Paris? 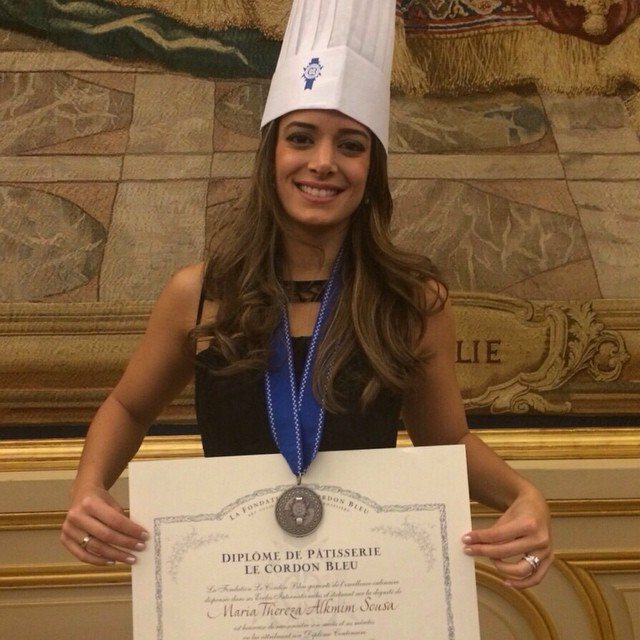 Maria Thereza: Le Cordon Bleu Diplôme de Pâtisserie is a certification of excellence and guarantees those who obtain many opportunities worldwide. I had so many wonderful moments that it is difficult to choose just one, but the day of graduation, when I received the dreamed diploma of Le Cordon Bleu is my favorite memory. The event is fantastic! In an incredible place, with all the renowned Chefs of the school that we admire and other Chefs invited, several of them called MOFS (Best Craftsmanof France). Le Cordon Bleu Diplôme de Pâtisserie is a certification of excellence and guarantees those who obtain many opportunities worldwide. When and how did your actual adventure begin? Maria Thereza: I had already done my first course of gastronomy in Brazil, I was completing the Nutrition university course and I decided to research the best area of insertion in the market of my city. After two years of research and formulation of the company's project, I felt the need to specialize even more and I had no doubt that Le Cordon Bleu was the best option. I started Leclanté Pâtisserie in March 2012 after the first stage of the course (Basic Pâtisserie). I finished the Diplôme de Pâtisserie in December 2014. Could tell you briefly about your career path? Maria Thereza: I work as Chef Pâtissier of my own company in Brazil and in the USA, Miami. We are specialized in events, especially wedding. We have a complete line of sweets and souvenirs with more than 50 options. Nowadays I´m living in Miami, where we opened Leclanté three months ago. We brought Lace Cake, an original Leclanté product, our chief brand for the American market. We open an online store and ship to all US states. Our arrival, although recent, is being a success! I'm very happy! In Brazil, we work not only in Belo Horizonte, but also send our products to other states. Our creations were famous for being original and different from the traditional. Even some traditional products on our menu receive a touch of sophistication and decoration personalized for each client. Another great differential is our production using first quality products. Maria Thereza: My advice is to always believe in your dream, to seek your differential, your signature in your creations. For those who want to start their own business, I recommend to do extensive research before begin and always have the support of a management team.